-notes from our NCF staff meeting by Grant Crawford, compiled by S. Mahabeer. Don’t go for people who already are involved: rather, spread it out. It is far better to have a hundred people doing one thing, than having one person doing a hundred things. Most people don’t give their hearts to Jesus the first time they come to church. They come and they watch what is happening around them. They have questions and want to talk about what they see and hear. This is where something so simple as serving tea and coffee, can become such an effective and important ministry. People are more likely to relax and talk over a good cup of coffee or tea. 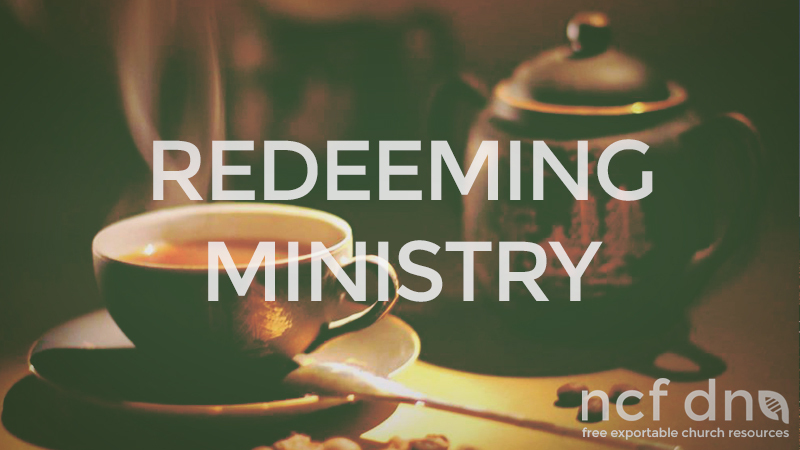 What an opportunity to build relationship, if you see serving tea as ministry. No matter what we do, let’s do it unto the Lord. Let’s do it as a form of worship to Him. Every time we enlist somebody for something, we need to ask ourselves if it is part of the Great Commission ( Matthew 28:20). How will doing that specific task affect others? People want to be a part of something great and meaningful. Attaching purpose to their area of serving will motivate and validate them. When it comes to enlisting people, we can’t beg, plead or guilt-trip people into joining a serving/ ministry team. Such motivation lasts only a short while until people get over it and leave. What we celebrate is something people run to. People want to run with something with purpose. The best person to ask to help enlist people,is the person who is excited about what he or she is doing as part of their ministry. When someone is excited about what they do, it motivates others to follow. Once we have enlisted volunteers, we can’t just drop them like a hot potato. We need to keep encouraging and valuing them. We need to let them know that they are a valuable part of the team and that their work and effort is appreciated and important. Saying thank you goes a long way. One last thought: the woman called Martha in the Bible often gets pointed out as someone we should not be like. But let’s not forget the important fact, that Martha’s home was Jesus’ most favourite place to go to. Here was a functioning household, here Jesus felt welcome, here He felt at home, here He was able to relax and here He was loved, cared for and well looked after. What an amazing picture for what church could look like. Friendship and worship and teaching and servanthood are all a part of worshipping and glorifying Jesus.